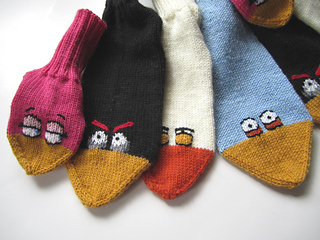 This is not an actual pattern. 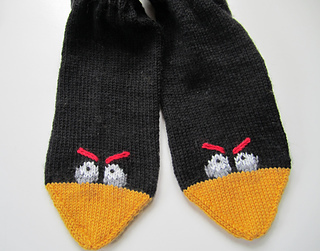 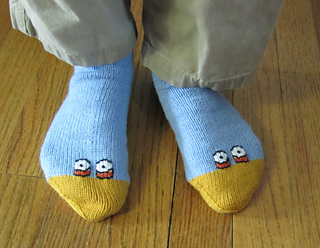 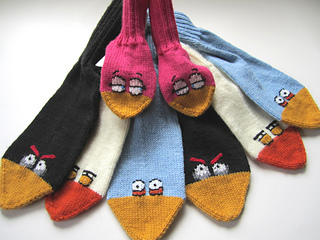 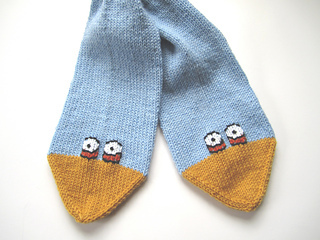 It’s a recipe for taking your favorite top-down sock pattern and turning it into some angry birds. 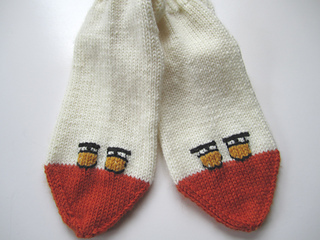 The pattern includes charts and instructions. 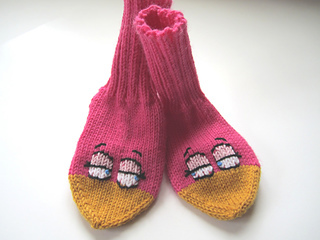 Wouldn’t it be fun to knit a different bird for each foot!